The Behringer Xenyx family welcomes this year the new QX602MP3 mixer for small setups. 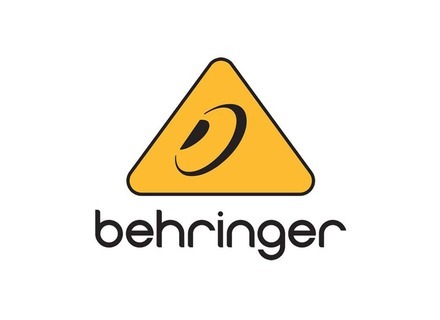 Behringer showcases at NAMM loads of new products, including the Monitor2USB monitoring controller and audio interface. Behringer announces the availability in your local authorized stores of the audio network expansion cards for its X32 digital mixer. Behringer introduced at NAMM Show 2014 the new Media 40USB and Studio 50USB amplified monitors. Behringer hits the iPad mixing market with the new X18 compact unit that is introduced this weekend at the NAMM Show 2014. Behringer announces the availability of its Ultragain ADA 8200 ADAT interface and AD/DA converter, which had been introduced at Winter NAMM. Behringer announces its X32 Compact digital console is now available for sale. Behringer introduces at NAMM 2013 the Ultragain Digital ADA8200 8-channel ADAT interface equipped with MIDAS preamps. Our team was at Behringer booth at NAMM 2013 to discover the new versions of the X32 Compact, Rack, Producer and Core mixer models. Mackie has now a competitor on the digital iPad mixer market, with Behringer introducing at NAMM 2013 the new iX16 digital mixer for iPad.